Discussion in 'Itza Gallery of Fine Arts' started by The Red Devil, Oct 12, 2013. 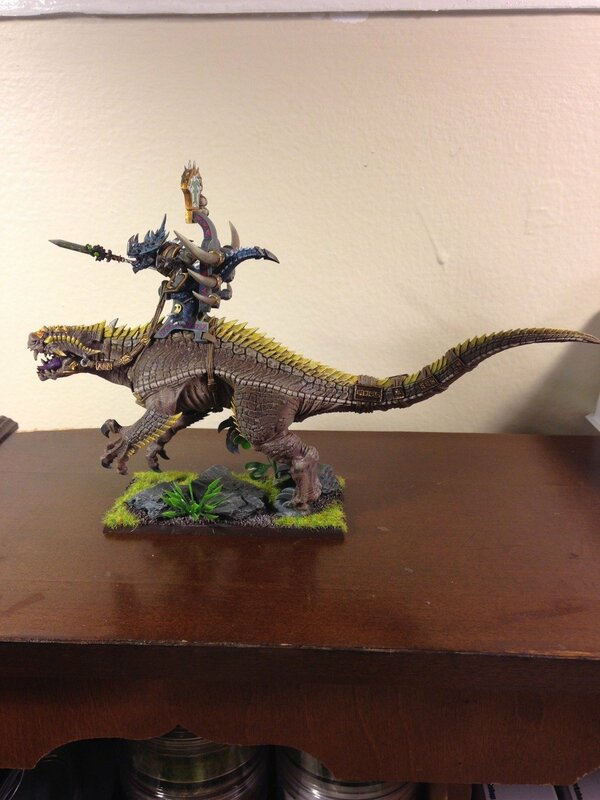 My old Carno and old blood. Paradoxical Pacifism, Bigb, Warden and 6 others like this. Gotta say, the best of your work. I'm a big skink lover. 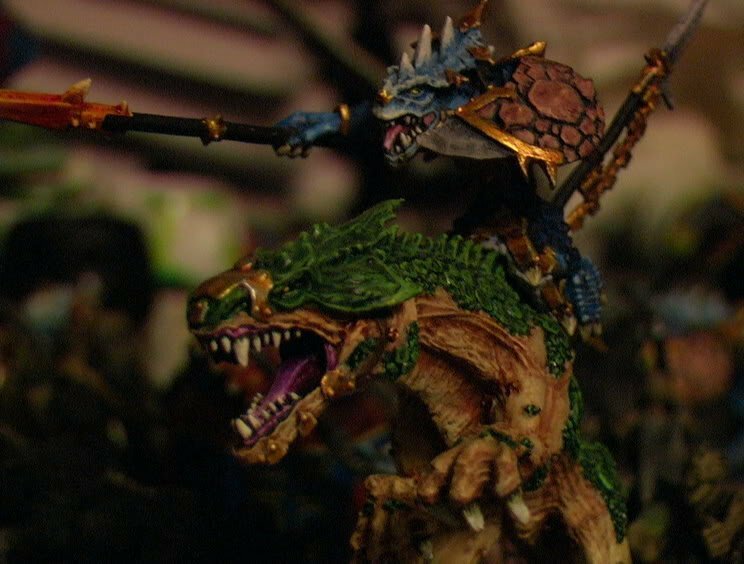 Esp skink chiefs. So I love this! CallThatACarrot, Paradoxical Pacifism, HeirofCarnage and 7 others like this. Paradoxical Pacifism, HeirofCarnage, Bigb and 6 others like this. Not seeing your pic Flava. Me can't see it, too. best if you save the picture to your drive, and then upload it here. Paradoxical Pacifism, HeirofCarnage, PhoenixTheCat and 9 others like this. Paradoxical Pacifism, Warden, HeirofCarnage and 11 others like this. Man, there are some awesome paint schemes here! 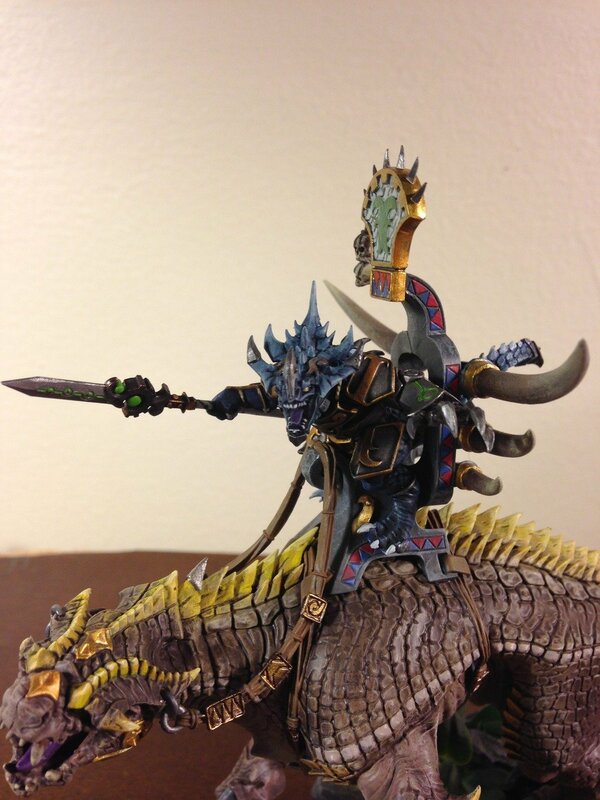 I'm going for a literal "falling star" theme for my seraphon - meteors and comets crashing to the earth in fire and melted rock, with obsidian weapons/shields and ash-stained gold. Oh_Man, Hugh Wilson, Paradoxical Pacifism and 9 others like this. Oh wow! This is gorgeous. Your colours work brilliantly together. He magma effects on that carno look so damn cool! Thanks! He's by far my best painted model yet (yay for ranking up skills IRL). I really can't wait to see the rest of the army finished. 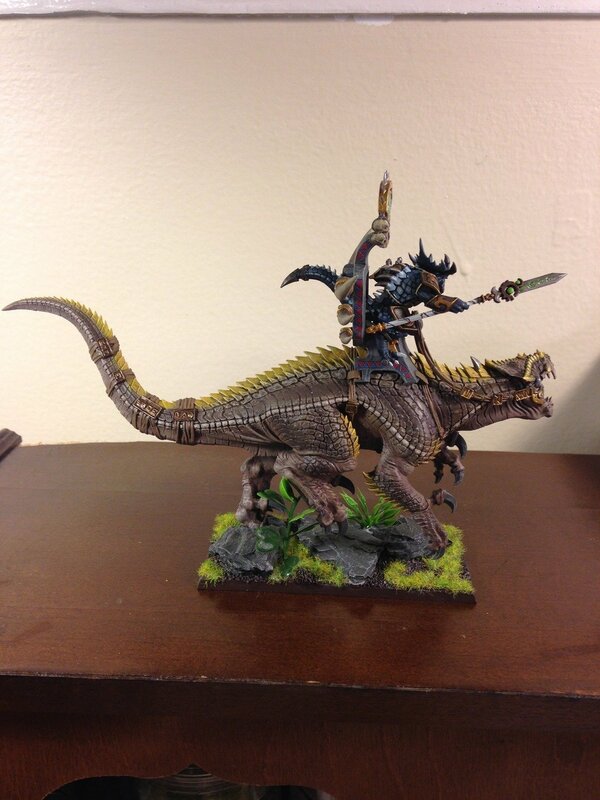 I plan on painting my Dread Saurian (when I pick one up), to make his scales look like they're literally bubbling. By the look of the kit, that shouldn't be too tough with the way some of the scales really bulge outward. 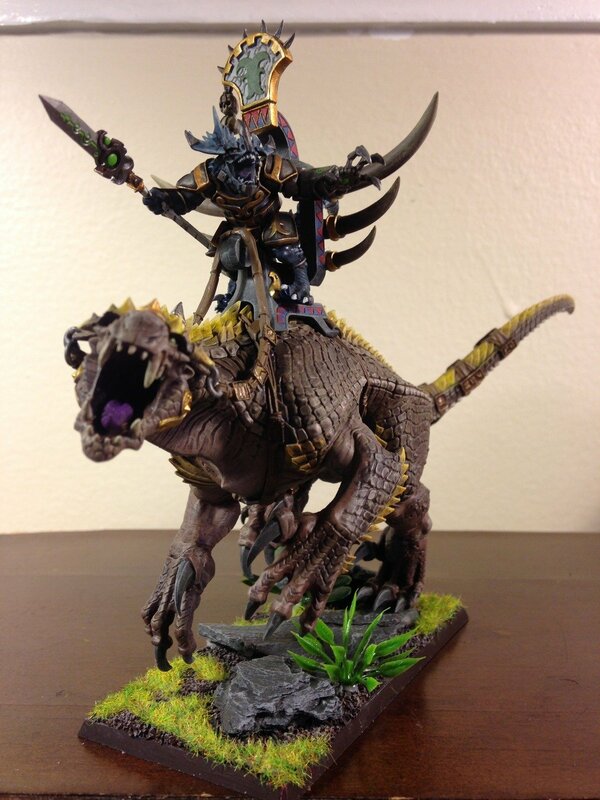 I'll upload pics of my bastilodon (solar engine, of course) when I get his base done. HeirofCarnage, Jorgik and Bowser like this. BinaryCat, Jorgik and Bowser like this. Is the base supposed to represent the earth turning to lava as the carnosaur advances?? BinaryCat and Bowser like this. Thanks! That's kinda how I pictured it, yeah. I started out thinking that he'd be stepping out of a pool of lava, but it looked more like the rocks are melting under his footsteps, so I went with it.